Save BIG as You Head Back to School with #HPink! I received compensation for my post as part of a promotional program with HP and MomSelect. I have exciting news over here to share today.. I am headed back to school this Fall! That's right! I am headed back to school to get my Early Childhood Education degree this Fall and I couldn't be more excited, nervous, stressed and so many emotions all in one! It has been a long time since I was in school but I am a learner at heart and I am excited to start learning and studying on a regular basis again! But with school comes expenses and so I need to start saving where I can! So I am always looking for a great deal that saves me some money as we head back to school this Fall. This week I found that great deal from HP! Printing off all my school work, assignments, readings along with my son's school things can get expensive. But I am saving this year with a great deal on ink from HP! Buy one Original HP Ink, get a 2nd one at 50% off. 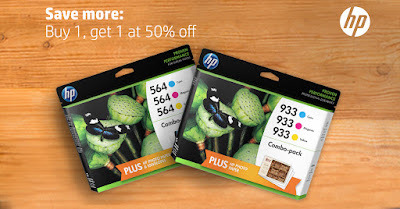 This is the best deal on HP ink since 2012, so you really need to take advantage of this great offer and stock up and save today! This offer is available on the HP website, as well as at retailers such as Staples, Best Buy and Office Depot. The promotion started yesterday on 7/26 and ends on 8/1 so hurry to save today! If you know you will be using your printer a lot more when school starts this year like I will be, then you have got to take advantage of this deal while you can! 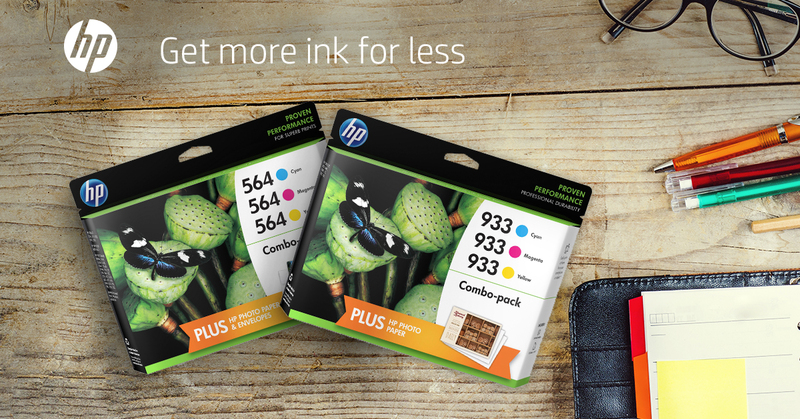 Save BIG on HP ink today!